Why has the response to HIV/AIDS been unique? How did civil society organizations gain access to global decision-making forums to demand exceptional attention and resources for HIV/AIDS? This book seeks to answer these questions, among others, through a critical international relations approach that enquires into the role of civil society in global health governance. 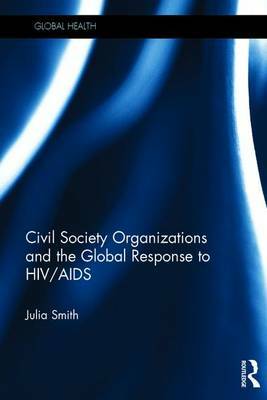 It documents how civil society forged the initial response to HIV/AIDS within a rights-based paradigm, and built international networks. It analyses why civil society was able to gain the right to participate in global health institutions and assesses what influence civil society representatives have within these institutions, particularly focusing on outcomes related to institutional legitimacy and downward accountability. It then discusses changes in the broader political economy of global health and how HIV/AIDS organizations have, or have not, adapted to these shifts. Finally the book tells the story of the many struggles civil society organizations have engaged in to advance a rights-based response to HIV/AIDS, the transformations achieved and the resistance experienced.